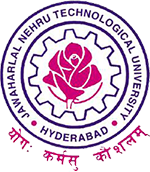 JNTUH Exams Scheduled on 05-02-2016 Are Postponed & Rescheduled Dates, Jntu Hyderabad University Scheduled on Feb 5th are Postponed. Check out all the Exam Details and Branches From Below Official Notification. Pharm –D, I year of Pharm-D (PB), I &III Years of B.Tech(CCC) Examinations – Intimation -Reg. when will be the jntuk bpharmacy 3-1 r13 results? when will be the b.pharmacy 3-1 r13 jntuk results?